LET OUR PRIDE, PROTECT YOURS. 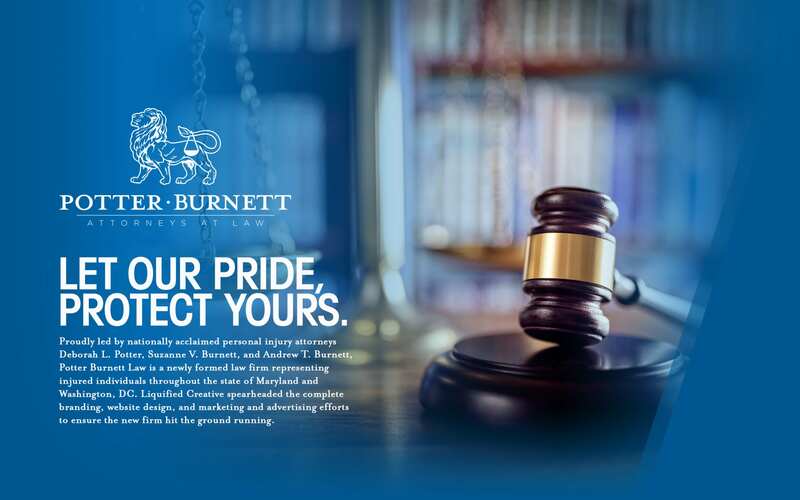 Proudly led by nationally acclaimed personal injury attorneys Deborah L. Potter, Suzanne V. Burnett, and Andrew T. Burnett, Potter Burnett Law is a newly formed law firm representing injured individuals throughout the state of Maryland and Washington, DC. Liquified Creative spearheaded the complete branding, website design, and marketing and advertising efforts to ensure the new firm hit the ground running.